Interesting informational pages to peruse. Working with Mica Clay- Make a Bowl! How to paint a tile, cook in your kiln, even instructions on how fire your kiln. Silver-Clay? Clay made of Silver? 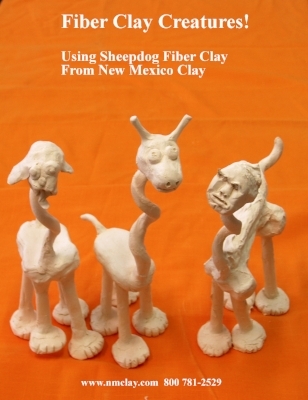 Sheepdog lowfire earthenware with fiber, our version of paper clay! Our fiber doesn't rot, and will fit most commercial glazes. These clays are a Low fire sculptural body that fits commercial glazes when Bisqued to 04. The glazes should be fired to cone 06. It contains 5% fine white sand and our superfine nylon fiber. If you work in fiber clay and don't change the way you work, you are not taking advantage of the clay. The advantages are that you can build your sculpture in parts, let them dry, as my friend Graham Hay says "Bone Dry”. This means you don't need an armature to build large pieces. Attachments: Make a slip out of the clay, the easy way is to make a bunch of "potato chips" and let them dry. Then when you add them to water they will dissolve quickly. To attach dry to dry, slather both sides with slip, roll out a thin rope of clay dip it in the slip, this is the "denture cream" that fills in any gaps. Push the pieces together and hold till you feel it grab! You don’t have to fire! 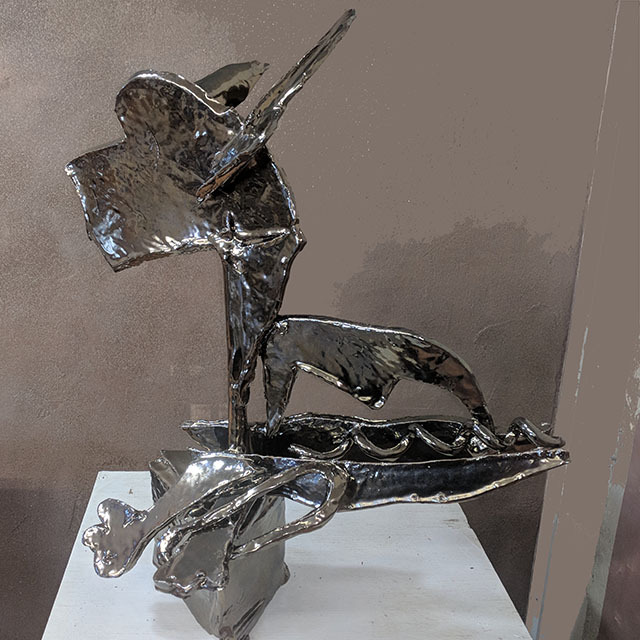 Many people are building sculptures using armatures made of wood or rebar. You can keep adding on to your sculpture until you are happy with the result then finish with Acrylic Paint, Artzee Sealers* or Powertex products* or we have Aleens Fabric Stiffener. Fiber clay is easy to fire as it is very forgiving, EXCEPT! There will be smoke and bad smells up to 900 degrees F.
I suggest you fire in a well ventilated space, leave the lid propped open a couple inches and leave the bottom peephole open. The idea is to allow the fiber to burn out (oxygen is needed for this). Fire like this until the smoke stops and then close the lid. At some point your pieces will be black, this is normal. The carbon will burn off as it reacts with the oxygen to burn. Panicking and turning off the kiln will not help. Taxidermy Clay self hardening with fiber. Taxidermy Clay is great for models over an armature; sculpt it, even 2 inches thick it will not crack. It will stick to almost anything even glass. Contains a non-toxic waterproof glue. Dries hard, paintable, not-toxic and not water proof. This clay works great for assembled sculpture, make all the parts and let them dry, all the way, then; paint a slip (made of Taxidermy Clay) on both surfaces to be joined. Roll out a thin coil of Taxidermy Clay (to act as denture cream) Paint all surfaces including the coil press together and hold. Our fiber doesn't rot. Taxidermist sculpts the muscles, eye sockets, ear bases out of this clay. 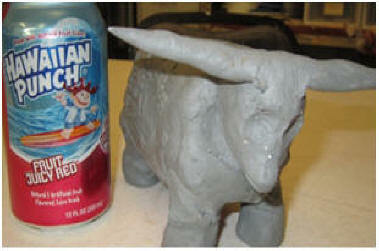 Smearing the clay on a foam armature that approximates the animal whose skin they have. Then they pull the skin over the armature for a lifelike natural look. Welcome to the Northern New Mexico native tradition of micaceous clay cooking and serving vessels. You will make a bowl measuring 7.5-6”x3” using the techniques of coiling in a puki. Use your hands to make something from a formless lump of clay. And experience the Vocabulary: Mica, Micaceous, Puki, coil, polish, burnish, vessels. Cut clay into orange-size balls and keep wrapped in plastic bags. Puki may be any bowl shape, lined with a paper towel to keep the clay from sticking. Fill SMALL containers with water, set out spoons and scraping tools. All over the world people cook in clay pots. In North Africa they used pots called “Tagines” because they had no ovens. By doing this they could cook on a campfire and get oven like results (long slow moist cooking). The same goes for beans. Beans must cook slowly for at least two hours without scorching hence the Bean Pot. The mica in the clay acts to slow down the heat. The bowl is very important as a way to eat stew; you have to serve it in something! Roll out clay and form coils. Start by forming a round disc to fit in the bottom of the puki (which is a mold to shape the bottom of the pot). The disc should be 3/4” thick and fill 2/3’s of the bottom of the puki. Next take a lemon sized piece of clay and shape it into a ball, then squish it flat trying to keep the shape round with an even thickness. This goes into the bottom of the puki and will be the bottom of the bowl. Next roll out a coil long enough to go around the disc (try to make it even with the same thickness as the disc). If the clay seems dry, put a small amount of water around the disc and attach the coil by pressing lightly. With your finger or thumb work your way around the coil smearing the coil and the disc together. Continue this process maybe 4-5 times until the bowl is um… bowl shaped, and about 3” tall. Now comes the smoothing. Using the metal scraping tool on the outside first smooth out any sign of the coils. Then using the edge of the rib start to gently scrape the exterior to thin the walls and make them even. Afterwards do the interior, scraping away excess material thinning and shaping the bowl. Now is the time to even out the rim by marking a level line around the top and shaving away the irregularities. When the bowl is firm enough you can remove the puki. You may have a puki line which should be scraped away with the rib. Continue scraping until the pot is of even thickness and has no sign of the coils. If there are holes they can be filled in with a small amount of clay. Polishing is accomplished by rubbing the clay with your finger or a plastic spoon, this takes time. Traditionally we would further refine the shape by sanding with a piece of sandstone or sandpaper. However the only part of the clay that is toxic is the dry dust when inhaled. Also, the sanding scratches up the surface so we would have to go back and apply a finishing slip (4 coats). The slip would then be polished as above. Firing: Fire to cone 010 a very low temperature of 1657 F. Any hotter and the shine will go dull. * Disclaimer: This whole process as traditionally taught, requires many years of long apprenticeship where you would learn to dig the clay, make an offering of thanks, process the clay, and pursue perfection. Every motion of your fingers would be dictated by tradition. Here we are just scraping the surface, and just approximating the experience and results. 3. All the works featured in this lesson plan were by Clarence Cruz. (Khuu Khaayay) from the Pueblo of San Juan/Ohkay Owingeh. True Cone 10 Zinc Crystal glazes have fascinated potters for the last hundred years. One major advance, digital controllers, put Crystal glazes in reach of any potter. In this short article, I will outline the basics and give some recipes. 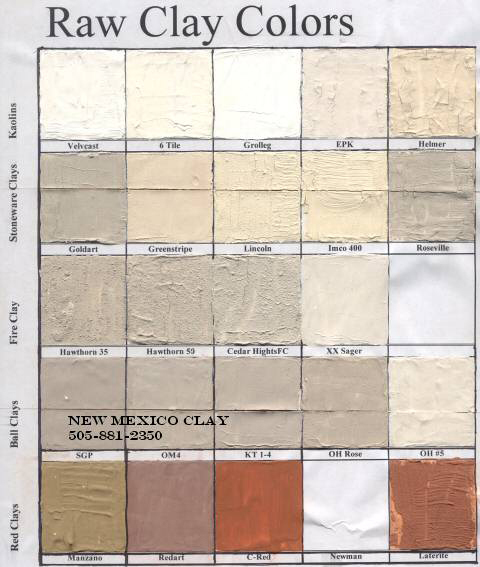 Clay: use a smooth, white clay for cone 10; such as New Mexico Clay' s Domestic, CK-mix, or any cone 10 porcelain. Try making plates or tiles at first, as crystal glazes are VERY runny*. If you wish to make a vase you must throw a little dish to fire your pot on; after bisquing, glue the dish and the vase together with alumina hydrate. The glaze: After trying many different glazes, I recommend one based on Ferro Frit 3110. Herbert Sanders book on Glazes for Special Effects (sadly, out of print) lists this as Glaze #3. Notice that this glaze is very high in Zinc and contains no Alumina. The excessive amount of Zinc crystallizes into Zinc Orthosilicate crystals in the glaze, the same way sugar when super saturated in water will turn into rock candy. Low alumina allows the necessary fluidity* that the crystals need to be able to grow. Cobalt Carbonate .75% to 1% for dark blue crystals with a lighter background. Iron Oxide 4% for brown crystals. Nickel Oxide Green 4% for blue green crystals on brown background. Manganese Dioxide 1% to 4% for lavender on tan. Uranium Oxide 6% to 10% for yellows and golds. Praseodymium Oxide for white with yellow edges. Apply the glaze by spraying onto bisque, as it contains no clay and is horrible to brush on. Try layering the glazes, as opposed to mixing the oxides, for interesting varied colors. Firing: In general fire to cone 10, cool the kiln to 2000 degrees and hold for 3 to 5 hours in-between 2000 and 1800 degrees. Ramp 1: rate 250°, to 1000° no hold. Ramp 3: rate 500° (to 9999 to cool faster), to 2000° hold for 03.00 hours. Ramp 4: rate 500°, to 1800° hold for 01.00 hours. *These glazes are very runny. A catch plate is a base you throw that matches the bottom of the pot, it is then glued onto the bottom of the pot with a mixture of alumina hydrate and elmers glue. After firing the catch plate is removed and the bottom is ground to a nice finish. That is why I just made plates and bowls, not vases. Using Taxidermy no-fire clay in the classroom. FiberClay creatures made of Sheepdog Fiberclay. Make parts one day assemble the creature on another day. Learn to work the paperclay way of attaching dry to dry with a slip and some clay. Sheepdog fiberclay that doesn't rot. 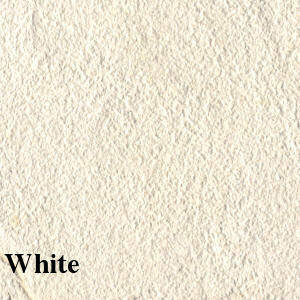 WHITE EARTHENWARE WLO: A smooth white clay. Our most popular clay with schools and teachers. Excellent for all types of modeling projects. Compatible with all commercial glazes. We go to great effort to make this clay smooth. 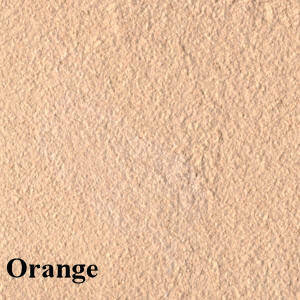 CREAM WARE: A new talc free smooth clay that feels really smooth and fires a cream color. SHEEPDOG lowfire earthenware with fiber, our version of that Papered Clay! Our fiber doesn't rot, and will fit most commercial glazes. lowfire sculptural body 04-06. It contains 5% fine white sand and our superfine nylon fiber. TAXIDERMY Non firing, air dry clay with fiber. Will adhere to armatures, let dry, cover or paint. SHEL’S Outdoor sculpture body has an absorption rate of .3 % at cone 02. Great for colorful outdoor sculpture. W.E.S. 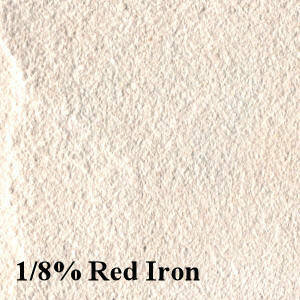 White earthenware for sculpture: Finally a low fire white clay for sculpture that fits all Duncan and Mayco Glazes. STORYTELLER (APSW): A light tan to pink colored earthenware . An excellent plastic throwing body. Compatible with all commercial glazes. 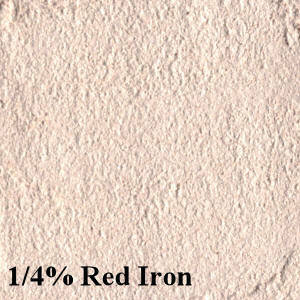 RED EARTHENWARE RL6: A smooth red clay. Perfect for hand building. Fires from an orange at Cone 016 to a red at cone 06 to a brown at 02. Beautiful when burnished. APS RED: Similar to RL6 in color, but with the addition of 90 mesh sand, this clay body is more rugged and better suited for wheel work. Perfect for functional ware. JONIES CLAY: Same as APS Red with 5% grog for working larger. MICA WHITE AND MICA RED Two new clays similar to Indian pottery from around New Mexico, Mica historically was mined near Taos. Can be glazed if bisqued to 04. Burnish and fire to cone 010. CLEANOUT CLAY: White or Red , we don’t know what is in it exactly, but they are fine for most kid’s projects. If you try some and like it better buy the whole ton. PECOS PORCELAIN: NEW formula- True porcelain with good plasticity suitable for throwing SMALL useful and serviceable tableware. It has good translucency at cone 6 and is great for wind chimes or jewelry. CASHMERE: A smooth throwable porcelain. New Mexico Clay's version of all those B-Mixes out there. Same body as Cashmere slip. MAGIC CLAY A new product from New Mexico Clay, Magic Clay is a fibered Cone 6 smooth, plastic, porcelaneous body. The fiber is extremely fine and burns out in the firing. Works like paper clay but doesn’t rot. COLUMBINE: A cream white clay that is easy to throw and form. Excellent glaze results. Smooth porcelain texture contains extremely fine sand you can’t feel. Pugged soft. WHITE STONEWARE WH8: midrange white stoneware with 10% sand. An excellent plastic throwing body. WHITE STONEWARE ROUGH WH-Rough for tile . A Tile clay that your glazes will not craze on. OCHRE: A plastic throwing body, also good for small sculpture and hand-building. Based on goldart stoneware clay, adapted from a Richard Zakin formula. SUPER SCULPT 2000! : New buff sculpting clay, not too rough but toothy, contains pyrophillite for excellent strength and has a wide firing temp from 5-10, even stands up to wood firing at cone 11. ANASAZI 5: Cone 5 version of original cone 10 ANASAZI it is an outstanding, all purpose, medium texture, moist clay. Durable and affordable, good for professional or student. 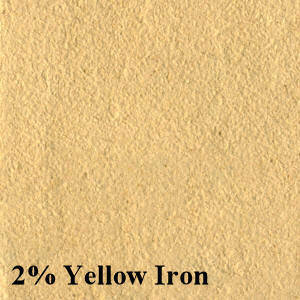 Reduces a warm orange/brown, light tan to yellow in oxidation. ANASAZI 5X same as above however the addition of a larger amount of red clay gives it a warm brown color. MARILYN’S BOD. 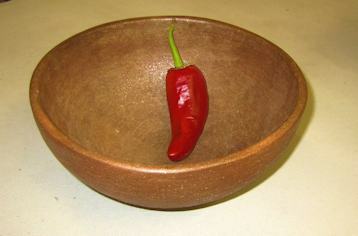 A red brown stoneware excellent for throwing and functional ware. TERRA-COTTA TC: Similar to red Earthenware in color at 04* but lighter, chocolate brown at cone 5, with good quality grog and fire clay, this clay body is more rugged and better suited to large sculptural pieces. Cone 04-5. RED SCULPTURE: A sculpture, tile and throwing body, very plastic that fires red-er at cone 5 to red-brown at cone 6. Can be used for sculpture at cone 04. Glazes will fit this clay at cone 6. ChoCoLate: A Dark Hershey brown smooth clay, almost black, glazes look cool and fit! Best results fire medium speed to cone 5 and hold for 10 min. * Glazes will craze at normal firing temp. Not food safe. SRUBEK: All Grolleg kaolin NO ball clay. 2-5 formula. Genuine Japanese style porcelain translucent and white. 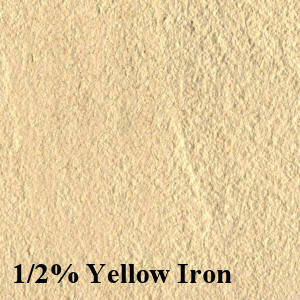 DOMESTIC: A new NO ball clay porcelain, Throws great, has a nice white color and fair translucency. White as the grolleg porcelains, but is 30% cheaper and throws way better! We used 3 kaolins and 2 plasticizers to create this new body. Best for crystal glazes. CK-MIX WITH PURE SILICA SAND: This is a nice cone ten white stoneware, perfect for dinnerware. Throws great, feels smooth before and after it is fired. Fires a pleasing white to gray. Will show off bright glaze colors. 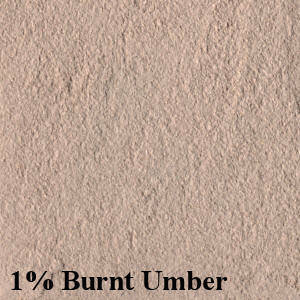 NMSOL: All California fireclays give this versatile clay body a pleasing sunny California toasty warm color in reduction. Our sand doesn’t pop out giving the body a smooth texture after firing. STILLETO: High Hills with no extra iron so it has a slightly lighter look. ANASAZI 10: An all purpose orange brown to yellow firing clay. Anasazi has a beautiful color whether fired in an electric kiln or gas, did great in the Anagama kiln, with no sign of bloating, and beautiful flashing form the flame. DON’T OVER REDUCE!!! SUPER SCULPT 2000! : Buff sculpting clay, not too rough but toothy, contains pyrophyllite for excellent strength and has a wide firing temp from 5-10, even stands up to wood firing at cone 11. ANN’S SODA AND WOOD FIRED WHITE STONEWARE: Our Cone 10 soda and flashing body contains 2 Kaolins (Helmers is one) for whiteness, and stoneware and sagger clays for flashing, also has 10% fine grog. A creamy color in oxidation, a grey color in light reduction. Frost Porcelain: Finally a white translucent porcelain for cone 6, looks amazing and is expensive. AMADOR-5X: Cone 6 version of original cone 10 AMADOR with extra iron. 5X is an outstanding, all purpose, orange brown, moist clay. Durable and affordable, good for professional or student. Reduces a warm orange/brown, light chocolate in oxidation. SPECKLED BUFF a buff clay with pronounced speckles that bleed into a glaze. Smooth texture. B-3 BROWN: A pliable BLACK clay with smooth grog and color from Manganese and Iron. Fires black when reduced, and a pretty good black in oxidation. 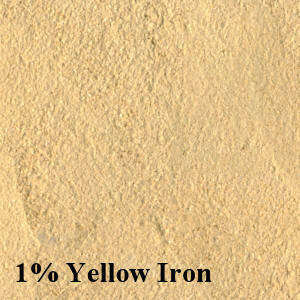 WESTSTONE II: Excellent general purpose clay, Slightly coarse texture, yellow-brown in oxidation, warm brown in reduction. SANTA FE: Medium coarse, excellent throwing body a golden tan adobe color. WS-5: A gray white body with 70 mesh sand. 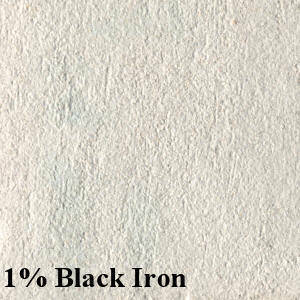 Fires a textured gray/white in reduction and a buff/white mottled surface in oxidation. Care should be taken when used for functional ware, not vitrified in most cone 5* firings. Glazes may craze. Can be fired to cone 10. SOLDATE 60: Soldate 60 is a gray clay with a high sand content and is pugged firm which makes it an ideal choice for large thrown pieces and sculptural forms. 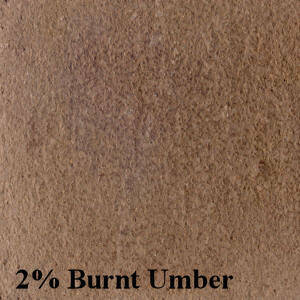 Fires to a yellow brown under medium reduction, it has a coarse texture. 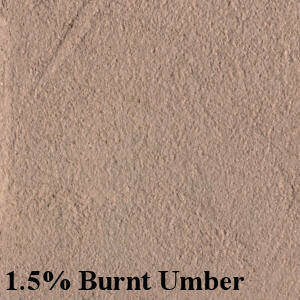 AMADOR: Is an inexpensive, all purpose, orange brown, moist clay. Durable and affordable, good for professional or student. Reduces a warm orange/brown, lighter in oxidation. B-MIX : A cream white clay that is easy to throw and form. Excellent glaze results. Fires off white in reduction lighter in oxidation. Smooth porcelain texture. B-MIX W / SAND with 10% 90 mesh sand for texture and speckle. We will custom blend your own clay body, (Or one of our clays harder or softer, smoother or rougher) at no extra charge. One ton Minimum. (1000 lbs minimum when we are making that clay.) Allow 6 weeks time. Try to use the raw materials we stock when formulating a custom clay body, some east coast ingredients or older recipes are not available. What Are Skutt Kiln Error Codes? All Skutt kilns with KilnMaster Controllers are programmed to generate Error Codes when something goes wrong during a firing. These not only give you an indication of what the problem may be, they also often will shutdown the firing to protect your ware or the kiln itself. When an Error Code is generated it will appear in the display and, depending on your controllers age and the code, trigger the alarm. On older units it is important to make note of the code before you press any key to stop the alarm and clear the code. On newer boards you can go to the Diagnostic Menu and access the ERTF feature to see the last Error Code to occur along with the temperature it occurred at, the amount of time into the firing at which it occurred, and in addition it will run a full Diagnostic test. Error 1 (E-1) is the most common Error Code that your kiln will display. It is telling you that the kiln does not have the power to rise in temperature at a minimum rate. This Error Code is triggered when the kiln cannot rise in temperature by at least 12°F/hr during a Heating portion of a program (if it happened during a Hold or Cooling portion of the program you would get a different Error Message). This slow rate must persist for at least 22.5 minutes before it will trigger the error. For some reason your kiln is unable to generate enough power to achieve the heatwork you are asking of it. The most common causes of E-1 errors are failed relays, worn out elements, broken elements or voltage issues. If you do not have access to a meter that can read voltage and resistance it is sometimes difficult to determine exactly which of these issues is causing the problem. The power to your elements is regulated by your relays turning on or off to achieve the desired heating rate. Like the brake pads on your car, these relays have a limited life and will eventually need to be replaced as part of regular maintenance. Your kilns controller reads the temperature from the thermocouple and, based on the program you are running, tells the relays to cycle on or off to achieve the proper heating rate. Most KilnMaster Kilns use mechanical relays which are rated for hundreds of thousands of cycles.This seem like a lot but depending the programs you run and how often you fire you could easily hit this range in several years of firing. Excessive heat, loose connections and dust build up can severely reduce the potential life for relays.For most Skutt Kilns each relay controls 2 elements or one section of the kiln. When a relay has failed in the open position (off) that section it is controlling will not glow when the kiln his heated to 800F. A section will also fail to glow if an element is broken in kiln designs where 2 elements are wired in series. This makes it difficult to diagnose whether the Error one was caused by a bad relay or a broken element just by a visual test. One thing you can do is to switch the relay controlling the section that is not glowing with a relay controlling a section that is glowing. If the problem follows the relay, than it is a bad relay and needs to be replaced.Since relays normally have similar cycle lifespans, most people will elect to just go ahead and change out all the relays at once. When you are changing the relays check for tight connections and damaged connectors and/or wires. 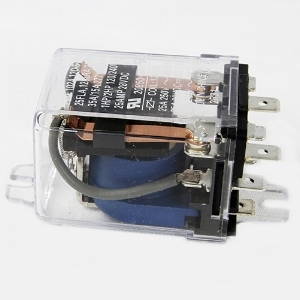 It is possible to replace a relay and have it burn out prematurely from a poor connection. This brings up another good point. If you feel your relays are not getting the lifespan they should, look for the root of the problem. it is usually associated with excessive heat caused by poor circulation or bad connections. Long hold times will also cause more cycling and therefore fewer firings between relay changes. side just like a battery. Unlike a battery, the negative side is indicated by the color red and the positive side is indicated by the color yellow. At Skutt we mark the negative side of the thermocouple with red dye. When you are replacing your thermocouple make sure it is installed in the thermocouple block so the red leg is on the same side as the red thermocouple wire. E-bd the computer board got too hot put a fan on the front of the kiln open windows do something. Fail You need to replace the thermocouple! Information about the use of ceramic overglazes and lusters or third fired colors. Paint with precious metals like gold, and platinum! Apply over fired glaze to add brilliant accents that’ll make your project look like a billion bucks! Metallic Overglazes for the brilliance of gold and white gold, and lusters for a rainbow of hues like the pearl of an oyster shell. Overglazes are an accent product that are applied over a fired glaze and then kiln fired to a relatively low temperature. They are sometimes referred to as "third fire" glazes. Mother of Pearl is a luster, an overglaze; it is applied over a shiny fired glaze of any color. (Copper glazes should not be used). Any natural hair brush will work, it should be clean. Apply MOP in swirls, just one thin coat. You want to see brushstrokes; they will be the swirls in the finished piece. Fire to cone 020. Buy a dozen bottles of Duncan Gold and get 40% discount! Discount will show in the cart good on Duncan Brand Lusters, Mother of Pearl and essence. Our new super white, scary translucent cone 6 porcelain slip, made from a clay from New Zealand called a halloysite. It is great for nightlights, and other small objects that benefit from translucency and whiteness. Top 10 Presents For Potters. "I don't know what a potter or clay artist might want"
Well here are a few suggestions! What is old is now new! The 5 thousand year old process of finishing the inside walls of your home by smearing clay on the walls is enjoying a new renaissance. The idea is simple the natural materials used: mud, sand, straw, are free of the more than thousands of chemicals that can be used in conventional paints; many of which are newly created chemical components with little research conducted regarding their long-term effects on both humans and the environment. You use your own clay, sand, and straw to begin the process of finishing your walls. Wall surfaces should not be previously painted, straw bales, adobes, even sheetrock is okay (paint the drywall first with a mix of 10 parts hydrated or homemade wheat paste, 1 part fine sand and 1 part clay. Let it dry and don't wet it down before you plaster it. The mix varies with the look you want, change the smoothness or texture and color. Start with a rougher mix and then use a smoother mix for the finish coat. Apply the rough mix with a trowel, not too thick, smooth it out with the trowel, allow to get leather hard. Then polish it with the edge of the trowel for a finished look. If you intend to finish with a smoother coat, go back with a large wet sponge and expose the grain of the sand. The final coat or finish coat is a much finer mixture of kaolin such as 6-tile or EPK, Redart or ball clay or even your own local clays. 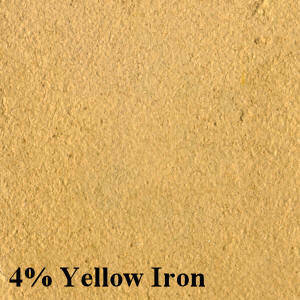 The choice of the clay you use will determine the color and texture of the wall. 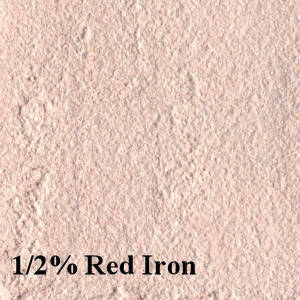 This earthen clay plaster has a little iron oxide for a gentle pink color. This coat can be considered a clay paint or Aliz. 1 part fine (90 mesh) white sand or Mica or a mix of both. It is a good idea to use wheat paste (flour boiled in water) to act as a glue, you could use Elmer s glue, egg whites, CMC gum, or Additive A. Imbed found objects, finely ground straw or large mica for more visual interest. Most walls require two coats, the last being finer and smoother. Color Chart using Only Non-Toxic Iron Based Permanent Pigments. Prepare 1 cup (2.4 dl) of very hot water. Make a thin mixture of 3 tablespoons (45 ml) of white flour and cold water (just enough to wet all the flour and make it liquid enough to pour). Pour the cold mixture slowly into the hot water while stirring constantly. Bring to a boil. When it thickens, allow to cool. Smear on like any other glue. We sell it premixed in 1 gallon bottle, ups shipment only. There are two properties of slip that we want to test frequently. They are specific gravity and viscosity. Specific gravity means how much more than water does the slip weigh. For instance: A gallon of water at 70 degrees weighs 8.3 lb. Lets say we weight out a gallon of slip and it weighs 14.4 lb. Simply divide 14.4/8.3= 1.73. This is a ratio, it is generally accepted that 1.75 is good for slip casting. So our slip is a little light at 14.4 lb. per gallon, water weighs less than clay so we have too much water in our slip, we can t take it out so we have to add more dry materials. (if the slip was too heavy we could have added water.) Okay, now we weigh the slip again and it is 14.5 pounds plus a little. Do the math and you can tell that you are right at 1.75. The Viscosity refers to how thick a liquid is. With slip we like to change how thick it is by adding more deffloculant (Sodium Silicate) NOT by adding water. How thin do you want the slip to be? It depends on what you are making. Hollow beads or tiny miniatures require thin slip, large items require thicker slip. Measure viscosity by how long it takes (in seconds) to drain out of a container with a small exit hole. The best thing to do is find some slip you like, then time it using a homemade viscosity meter like the one below. 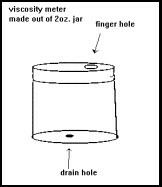 Fill the jar up full to the top, while holding your finger over the hole in the bottom, place the cap on the jar and hold your finger on the finger hole, let go of the bottom and the slip will not come out until you let air in the top. Time how long it takes until the flow changes from constant to drips..
Each time you do this test try to do it exactly the same way. If the slip is too thick and the specific gravity is right, then you can add some deffloculant, or some special slip thinner. These are very powerful in their action add only 2-3 drops per gallon. Absorption: How porous the bisque is determines how easy the glaze is to apply, it changes by what cone the slip is fired to, and the composition of the slip. Thermal expansion: Determines glaze fit, a too tight fit and the glaze falls off (shivering), too loose and the glaze crackles (crazing). Glaze fit is determined by the amount of talc in the slip and the bisque temp. Shrinkage: Is complicated to control, but it is useful to know so that you know how to size the molds, more water in the slip gives increased shrinkage and increases cracking in the mold. Over deflocculation: Slip casts slow, inside of cast appears sharp and greenware is brittle, hard. Noses and other high points may turn brown when dry. Under Deflocculation: Slip casts fast, seems soft and flabby, molds get wet sooner. inside of casts look smooth. The first time you make slip it all seems mysterious, it is very important that you measure carefully and keep a written record of what you have done. There are seasonal variations in the talc, and possibly in the other ingredients; so it is important to know what you have done in the past and be consistent. First figure out how many gallons your slip mixer will hold. It is easiest to make 25 or 50 gallons as you will not have to weigh the slip components. Test slip with a scale, it should read 1.75, and weigh 14.5 lb. per gallon. 1. WATER ----- 27 GALLONS the warmer the better. Dissolve Soda and Barium in hot water and add to water and allow to stir with mixer running add your Clays. 7. TALC AMTAL C-98 ----- 250 LBS. 5 BAGS add the talc with the mixer running. If it clogs up at the top, Turn the mixer off and use a stick to help mix it in. 8. Let the mixture mix for as long as possible and then rest overnight. WHAT THE COMPONENTS DO: Soda Ash and Sodium Silicate are DEFLOCCULANTS. They make the particles of clay all repulse each other (like two north poles on a magnet). Proper deflocculation allows the use of less water to make the slip a liquid, this keeps the molds from getting too wet. BALL CLAY: The OM4 and SGP or 1-4 are called ball clays, they are the actual clay in the formula. TALC is a main ingredient, it is magnesium silicate and it's function is to prevent the glazes from crazing and to make the bisque white. We Sell red, white, ceramic, stoneware, and porcelain slips. Shipping quotes available Call Us!! Pick a pattern that isn't too complicated. It isn't easy to get glaze into tiny areas. I transfer the pattern with carbon paper or you can also freehand a pattern with a pencil. I usually lay a piece of paper over the area of tile I'm not working on so I don't smear the pattern with my hand. There are a few ways to outline your pattern. You can use wax or wax resist. Both of these methods will let the color of the tile show through when fired. If you want it outlined in black, use the Waxline pen or you mix Duncan's EZ012 Cobalt Jet Black and wax resist. This is mixed to a brushing consistency and used to outline the pattern. I always apply this with a brush. This mixture repels the glaze and holds it in place when firing. The glaze is applied with squeeze bottles. This requires only one even coat instead of three when brushing glaze on. If the glaze seems to be a little thick to apply out of a bottle, add a few drops of water to thin. It may be necessary to use a pin tool, nail, or whatever to push the glaze into small areas that cannot be reached by the bottle tip. You can use any Duncan or Mayco glaze that is for cone 06 and is opaque. Translucent glazes don't work well. We especially like Duncan's Concepts as they come in smaller jars and there are hundreds of colors. Two or more glazes can be blended in one area by applying the colors and before they dry, pushing them together. 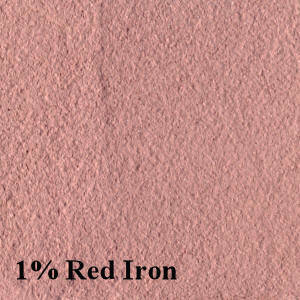 This works well when doing flowers or anything that wouldn't be just one solid color. It kind of gives a marbleizing effect. When the glazes are dried, fire the tiles to cone 06. After firing, the tile can either be framed, put on the wall with grout, or however you choose to decorate with them. Make a Mural for the Wall. Now that you have mastered making tiles, let's do a mural for the wall. Be sure to have a pattern that will fit theTile by Painted tiles by Pumpkin. Alvira (passed on) area that you have in mind. It will be helpful to lay out the finished tiles so you don't put the design up in the wrong place. The first thing you need to do is find the center of the wall. Mark it with a chalk line from top to bottom and from side to side. This will give you a plus sign in the middle of the wall. When you put the tiles on the wall, it is best to work from center out to avoid not having your pattern off center. You will need to mix up thin set cement. Just mix up enough for the immediate area that you are working on. If it starts to dry out, it becomes hard to work with. It is best to use a tool that has ridges to apply the thin set to the back of the tiles. This is called buttering the tiles. Make sure to get good coverage on the back of the tile before applying to the wall. Be sure to line up the tile with the chalk line. Most tiles have tabs on the sides for correct spacing. If need be , you can buy tile spacers or even use pennies. Nails can be nailed at an angle under the tiles to hold them in place. If working in a large area, you can nail a one by two board across the entire length of the wall and rest the tiles on the board. Let the thin set cure for twenty four hours before removing the nails and or board. You are now ready to apply the grout. The easiest way to do this is with your fingers. Mix the grout to a dough like consistency. Always wear latex gloves so the pigment in the grout doesn't absorb into your skin. Take a good size glob of grout and press in between the tiles being sure to get a good coverage. It is always a good idea to work an area then go back and clean the grout off the tiles with a damp sponge before it completely dries. After putting grout on the whole project, let the grout set up for at least twenty four hours. At this time, you can seal the grout. Now you have a wall that will be the envy of your friends and family. Be prepared to have requests to do one at their homes. Skutt Kilns and Paragon Kilns. Although Paragon kilns and Skutt kilns may not approve, these Kilns are really accurate ovens, and they are self cleaning. Turkey for Thanksgiving is really easy Kiln Cooking. Place the kiln shelf near the thermocouple where the turkey will be easy to reach. 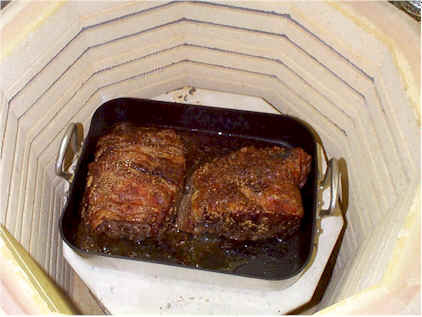 New York Steak Kiln Cooking Roast for Christmas 1999! Skutt kilns make Hmmmm roast beef. Good kiln cooking! Kiln Cooking a roast in Skutt kilns is exactly the same as cooking it in oven at home. Purchase a whole New York state roast in a cryovac bag. Preheat Cooking kiln to 350 degrees. Rinse the roast and then dry, in the photo I have been cut in half so it would fit in the pan and cook faster. Season the roast with salt and pepper and perhaps a little garlic, roast in kiln at 350 degrees until it registers 125 degrees on instant read meat thermometer. Let rest for fifteen to 20 minutes. Degrease the pan juices, and serve on the side. because the heat in the cooking kiln comes from all around the roast the juices in the cooking pot do not boil, so they don't splatter. It is not necessary to start the food at a higher temp to brown it. 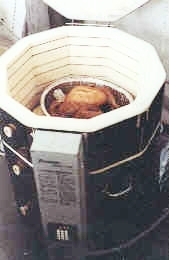 The side elements in the kiln act as an rotisserie and brown the food evenly. Disclaimer: Both Skutt Kilns and Paragon Kilns would tell you not to try this. Especially if you fire a lot of lead based glazes. However I am sure my kiln is cleaner than your oven, really go look! Send us a kiln cooking recipe to be included in this page! This is a fun method of cooking and is sometimes referred to as "Beggars Chicken". After washing the chicken, salt and pepper inside and sprinkle thyme into the cavity. Place lemon skins in cavity. Mix lemon juice and honey together. Free the skin from the meat by putting a finger between skin and meat and then put lemon juice-honey mixture underneath skin. (You can also put lemon juice- honey in a baster with a needle tip and insert the mixture under the skin.) Put any remainder of juice-honey mixture in the cavity. Baste the skin with olive oil and then salt and pepper to taste. Take heavy duty duty aluminum foil or parchment paper and cover and seal the chicken in the foil or parchment package. Roll out 3/8 inch slab of clay dry enough so that it still is pliable and cover the entire foil package with clay and seal. You can sculpt the clay in the form of the chicken underneath. Place the form on a cookie sheet and put in the kiln at 150 degrees for 1 hour to dry the clay somewhat and then raise the temperature to 350 degrees for another hour and a half. Remove the hardened clay form and then crack the clay covering with a hammer and remove. Open up the foil to reveal the cooked chicken. Serve with the juices accumulated at the bottom of the foil package. By Steven Wilburn, ex-fireman for NMclay.com. Before loading your kiln be sure that it's not near anything combustible as the exterior becomes very hot. Most kiln companies recommend a 12" space between the kiln and the wall. It is important to have a shelf in the very bottom resting on three 1" posts in a triangular arrangement. This allows air to flow under the ware and give them even heating. If additional shelves are used be sure that the posts supporting them are placed directly above the original 1" posts located under the first shelf in the bottom. This prevents warping or cracking. (1/8") to medium (1/4") in a manual kiln is- 1. turn switch(s) to low for one hour, 2.go to medium for another hour, 3.then to high where it will stay until firing is done. After the firing is complete let the kiln cool till it is nearly room temperature, lifting the lid too early can cause cracking or damage to the kiln. If an explosion occurs during the firing, (usually due to air pockets or moisture), it is important to remove any fragments that may have fallen into the element grooves. Clay or glaze touching the elements will cause them to burn out. Sometimes an explosion can cause the sitter to get jammed, if this occurs the kiln will not turn off and the contents will melt down (total disaster). Don't be discouraged, many kilns come with a built-in safety timer that you can set for the estimated firing time, this will vary depending on the size of kiln and the density of the load. When the timer reaches 0 the power to the kiln will shut off. It is important to set the timer for more time than the firing takes, if the timer turns the kiln off before the sitter does, than the firing has not been completed. If this happens you can simply re-fire the load being sure the timer is set for more time than before. If your kiln doesn't have a timer you should check it when it should be turning off. If it goes a whole hour past the it's usual time then turn it off by hand and examine the ware and the sitter when it cools off. This is another good reason for using witness cones. Make records of your firings so you can get to know your kiln better, if you notice the results changing than it may need an adjustment or new elements. Firing thick walled pieces or sculptures. Thicker, heavier things need to be fired slow, especially in the earlier stages of the firing. As heat is applied to the ware moisture begins to escape, no matter how long a piece has been drying there still is water locked into the molecules of the clay. If the water is not gone when the clay reaches 212F (the boiling point of water) it will turn to steam and the clay will blow up. On a manual kiln the schedule will be similar to the one above except you'll want to keep it on low for two to three hours and medium for about two hours. You may even prop the lid up with a brick or post about 3" high till its ready to go to high, and then close the lid. If you are near the kiln during the firing and you hear something like the faint sounds of shoveled earth, most likely that was your stuff being blown to smithereens. Don't let this discourage you, its all just part of the learning process. Digital kilns have a slow program but sometimes it's not slow enough for some items. You may program a custom firing of your own that will be stored in the memory to be used when ever needed. Most digital controllers have similar features, What you'll need to look for is the Ramp/Hold button. Press Ramp/Hold and it will display USEr 1(most controllers can hold up to 6 custom programs) If this is your first program press Enter. Now it asks how many segments of the program you will need SEGS (most controllers can store as many as 8 segments) the schedule we recommend only uses 4. 1.USEr 1, Enter, SEGS-4, Enter, rA 1-180, Enter,F1-195,Enter,HLd1-4:00,Enter rA 2-150, Enter, F2-450, Enter,HLd 2-2:00, Enter,rA3-300, Enter, F3-1000, Enter, HLd3-0, Enter, rA4-780, Enter, F4-Ending temperature(see cone chart) HLd4-0. This firing could take 12 to 14 hours to complete. When completed the display should read CPLt and flash the amount of time the firing took. Press enter or stop and the display should read the current temperature inside the kiln. If you want to put in another custom program press Ramp/Hold and USEr2. (When the display says USEr its asking what program you want to use). Keep a record of all your custom programs. (USEr1,USEr2,USEr3 etc.) When the display says rA it is asking what ramp or rate of temperature climb you want and when it says HLd it's asking how long you want to hold at that temperature. Each segment (SEGS) has a ramp and a hold. USEr2, Enter, SEGS-1, Enter, rA1-350, Enter, HLd-4:00, Enter, start. For your convenience we’ve provided these online SDS sheets and links in a PDF format for easy download. Locate the product about which you need SDS material; if the product lists more than one SDS, be sure to download them all. “Safety Data Sheets” - SDS - have now replaced MSDS as of June 1, 2015. SDS are detailed information bulletins prepared by companies that describes the physical and chemical properties, physical and health hazards, routes of exposure, precautions for safe handling and use, emergency and first-aid procedures, and control measures. Material Safety Data Sheets provide a comprehensive overview of our products, including Components, Physical and Chemical Properties, Handling and Storage, and First Aid Measures. Following the links below you can download many of the MSDS for products we sell. If you are unable to find an MSDS on our website, email us and we will send you what you need. All sds pages are available in PDF format and require Adobe Acrobat Reader. Download Adobe Acrobat Reader for free here. click the above link to find the SDS from Mayco. Precious Metal Clay is now available In different versions called PMC3. Each is sold in the form of a lump, and PMC3 is also sold as syringe, paste. Art Clay also is available in three versions, Art Clay, Art Clay Slow Dry, and ArtClay650. 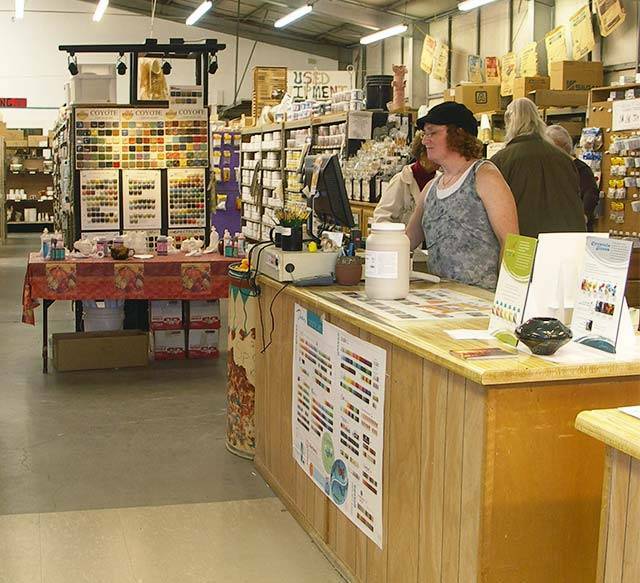 Here are a few frequently asked questions about the full range of PMC products. * Why six products? Do I need all 6? PMC Original has ideal workability and a relatively high shrinkage that allows wonderful detail. 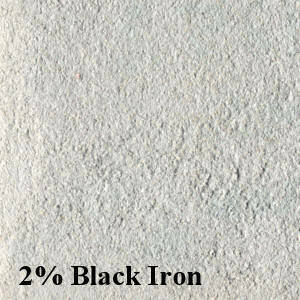 PMC+ , Art Clay and Art Clay Slow Dry fire very quickly and result in a dense and durable material. they also allow for firing at three different temperatures. the lowest of which allows including glass and some gems that cant be fired hotter. PMC3 and ArtClay fire at an even lower temperature (1110 F and 1200 for artclay650) which allows sterling and stainless findings to be imbedded. Alternative, low tech firing devices become possible like stove top firing. Not every artist will need all three versions. Some people find a preference and stick with it, while others use different materials depending on the nature of their work. How do they do It? In the end is it all silver? Yes, all three versions yield the same metal, 100% silver. The difference is not in the ingredients but in the shape of the particles. Original PMC is made with flake‑like particles that allow room for the binder, which gives the material its workability. PMC+ is made with a particle with more neatly defined edges. This allows for quicker fusing and a denser material. Notice that the spaces between particles are smaller ‑ this will result in more durable jewelry. The newest member of the team, PMC3, uses particles that are even smaller than the silver dust used in the other versions. The denser packing allows this material to fuse at a lower temperature. Everyone's experience will differ and there is no substitute for your own experimentation. Here Is the relevant information side by side. along with some general recommendations. The choice of which version of PMC to use will be determined by your work habits, the firing equipment available and the time available. For maximum strength Fire at 1650F for two hours. the above Information is from the PMC Guild and Art clay world. Gerstley Borate is in stock and not going anywhere! July 4th 2014 Click here to see prices. GERSTLEY BORATE (real) A sodium-calcium-borate compound used as a low and mid-range glaze flux. This is a conglomerate mineral made up primarily of Colemanite, Ulexite and Hectorite. Gerstley is a natural borate similar to but not interchangeable with Colemanite on a 1 to 1 basis. In early 2000 U.S. Borax shocked the ceramic community by announcing that, for safety and economic reasons, they were ceasing operations at their California Gerstley mine; the source for a unique sodium borate mineral utilized as a basic ingredient in many ceramic glazes for decades. Upon learning this news, Laguna along with other ceramic suppliers and individual ceramists began, in earnest, to research a suitable substitute for gerstley borate. This past April, Laguna Clay Co. learned that there remained a limited amount of mined but unprocessed gerstley borate at the now defunct Gerstley mine. Laguna entered into an agreement to purchase all the remaining Gerstley and is milling it to the same specifications as the Gerstley sold over the past 30 years. While this supply is limited, based on historic usage Laguna anticipates having an adequate supply for many years. 3000 tons or 6,000,000 pounds as of 6/18/2011! Lots of people were offering synthetic Gerstleys but nobody switched to Laguna borate or suitable substitutes, as they were not as cheap as real Gerstley.